We envision a built environment in the Northeast that is climate neutral, adaptive and resilient, energy independent, architecturally inspiring, and supportive of connection and community. Our work is vital to increasing sustainability, especially in the building sector. In the United States, the building sector accounts for nearly half of all energy consumption. It also produces nearly half of all greenhouse gas emissions, making it the largest single contributor to climate change. To shape the built environment is to shape the future not only of our cities and towns, but also of our planet. Headquartered in Greenfield, MA, NESEA operates primarily in the northeastern United States (the six New England states plus New York, New Jersey, Delaware, and Pennsylvania), but we increasingly reach out to share ideas nationally and internationally. For example, we’ve collaborated with the German Consulate and the Upper Austria Trade Commission to bring cutting-edge products and information from Europe to our BuildingEnergy conferences & trade shows. NESEA is an Associate Chapter of the American Solar Energy Society. 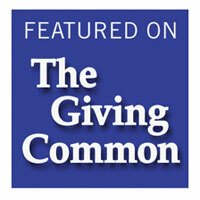 Check out NESEA's full profile on The Giving Common.